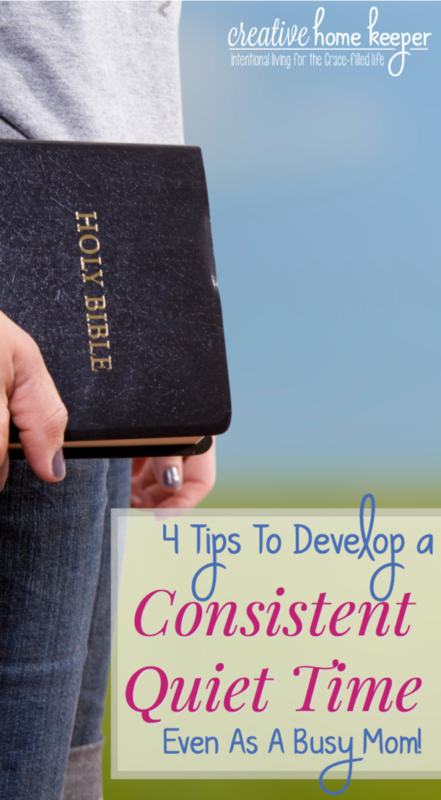 4 Tips to Develop a Consistent Quiet Time… Even As A Busy Mom! 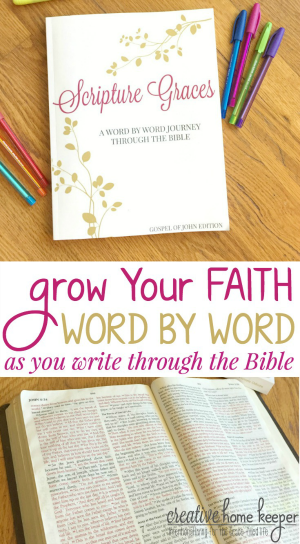 I’m super excited to announce that it’s the start of our Grow Your Faith & Home series! For the next two weeks, we are going to be diving into two very important subjects: growing our faith and managing our homes. Over and over again, I’m always receiving questions about these two distinct areas, so this is where we are going to camp out for the next few weeks. This week will be all about growing our faith through how to develop a consistent quiet time and resources to help you study the Bible. 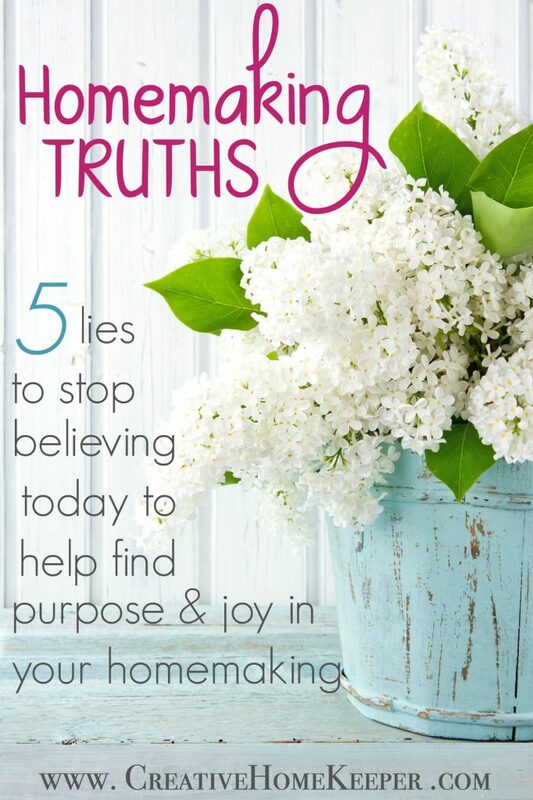 Next week will be all about how to embrace our roles as homemakers and resources we need to find joy in our homemaking. 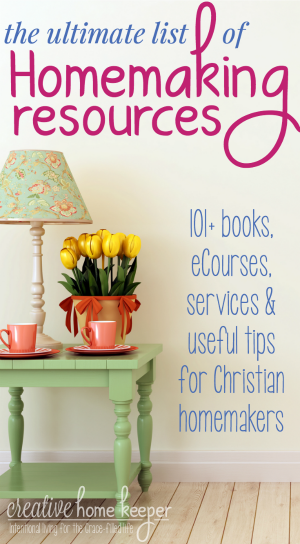 I’m so excited about this series and I can’t wait to share some great resources with you! 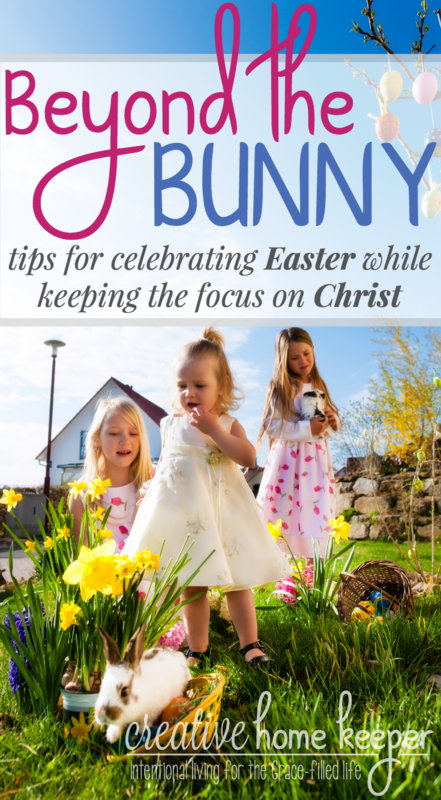 So let’s jump right in today with some tips to develop a consistent quiet time… even as a busy mom! Between the dishes, the never ending pile of laundry, feeding the hungry mouths and trying to keep everyone alive and safe… motherhood is quite literally exhausting! While it’s tireless and a never ending job, being a mother is also so rewarding. I’m so thankful for these precious blessings God provided me with. Although with blessings, comes great responsibility. 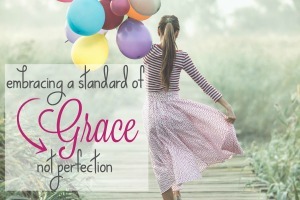 It is our job, along with our husbands, to teach and train them. To plant the seeds of faith, to guide them as they nurture and water those little seeds, to support them as the grow and to encourage them to spread their seeds as they go off on their own. Sometimes I lay in bed at night and marvel at this great responsibility. It’s overwhelming but it’s assuring to know we aren’t doing this alone. 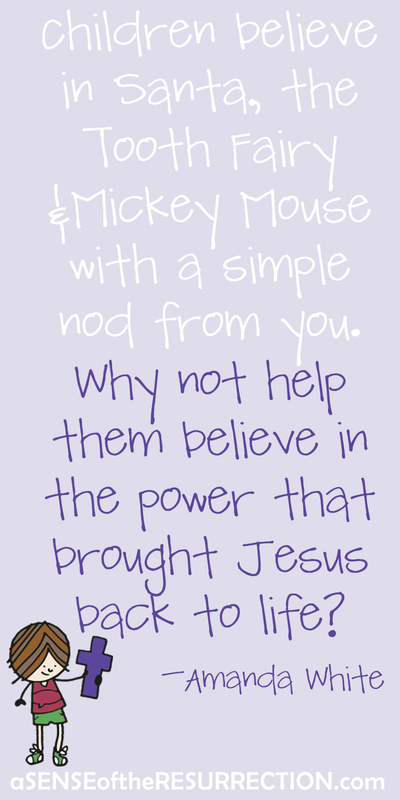 Our Heavenly Father doesn’t just tell us to train our children in His ways while He sits back. No, He is right there with us! Here’s the truth, while we have this great responsibility to teach and train our children, we have to nurture our own souls first. After all, how we can we pour out if we don’t pour in? Growing in our own faith is not only crucial as we raise our children, but it’s also vital to growing closer to the Lord ourselves. He has created us to be in a relationship with Him, He has given us the gift of the Holy Spirit to help us as we grow in wisdom and to be able to discern false teachings around us. We know we need to be in the Word each day growing closer in our relationship with God, but it is hard! 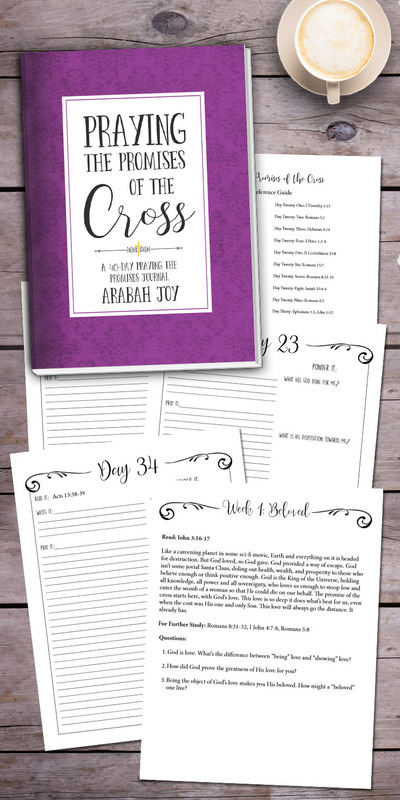 Busy schedules, unrealistic to-do lists, early risers, night owls who keep us up, commitments, managing our home… these are just a small list of obstacles that get in our way of not having daily time with God. I also run a business from home, carpool, and have a to-do list that grows by the hour. 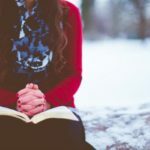 My home is not perfect, far from it actually, so I get it when it comes to overcoming the obstacles of trying to carve out 5 to 10 minutes in my day to read and study the Bible… but I do. In fact, this season of business and organized chaos has actually yielded a more consistent quiet time than ever before in my life. 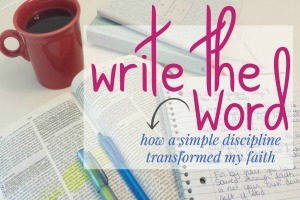 I have managed to be in the Word every single day. By putting into place the following tips. Simply put… you HAVE to make it a priority. Growing in our relationship with God is actually more important than cultivating our marriages and raising our children. It seems strange to say that but it makes sense. 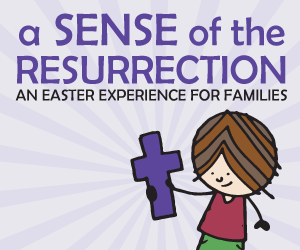 When we are strong in our faith, we can build our families. 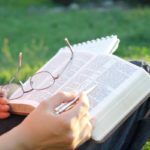 Making it a priority to spend a few minutes each day in God’s Word is so important. We make the time for the things that are important to us and fill us up. Here’s the hard truth: If we can make time to watch TV, scroll through Facebook or Instagram, have coffee with a friend, go shopping, or any activity we enjoy… then we have time to be in God’s Word every day. The key to actually having your daily quiet and study time is to be prepared. Just like we prepare for the week ahead on Sunday afternoon or the day before each night, being prepared to have time with God each day is important. 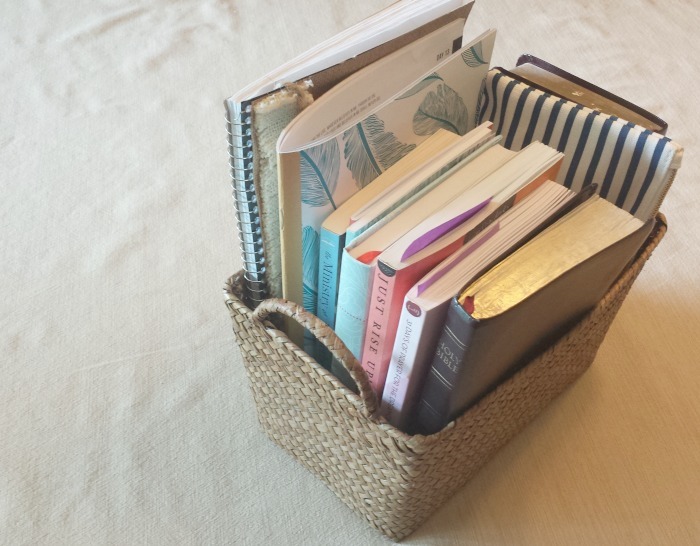 For me, this looks like making sure my Bible Study Book Basket is in its proper place with the materials I need: my Bible, my current reading plan, my Scripture Graces journal, prayer books or other Spiritual Growth books I’m reading, and highlighters and pens that work. 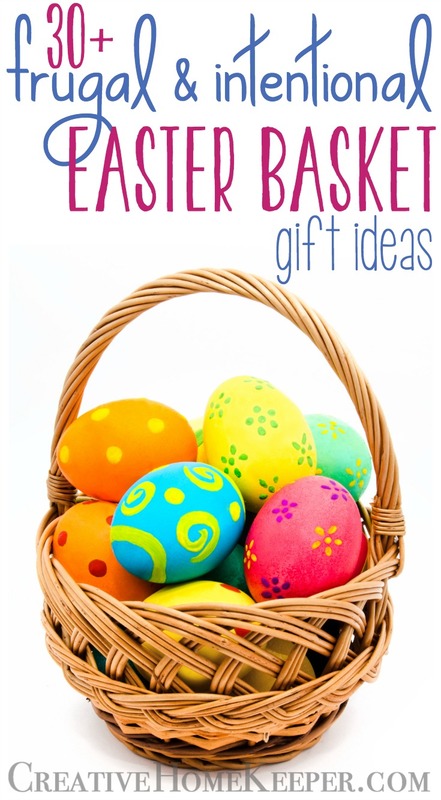 Having my basket stocked and ready to go keeps me from wasting precious minutes hunting them down. Keeping it in its proper location, allows me to easily retrieve it. 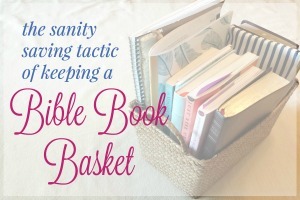 Having all my study books and Bible stored in a handy basket allows it to be portal so I can move it around from location to location with ease. 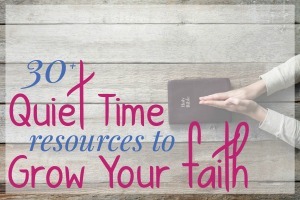 Along with gathering your supplies, think through where you will do your quiet time each day. 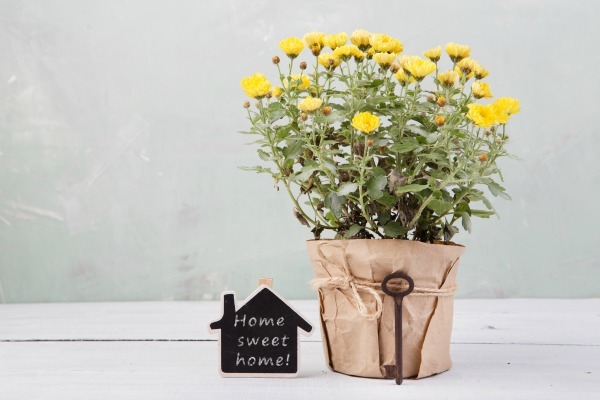 Do you have a comfortable chair, a spot at the dining room table, on the back porch, in the car, on your bed, or at your office if you work outside of the home? 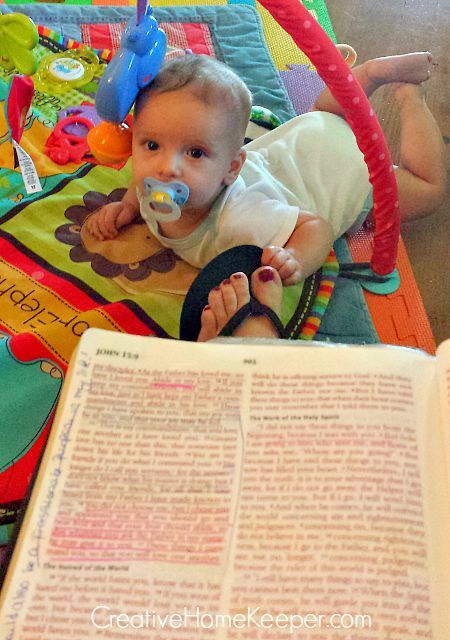 Most days my Bible study time in on the dining room table but if a child is in need of supervision or attention, I may sit next to them on the couch or on the foot of their bed during nap/quiet time. 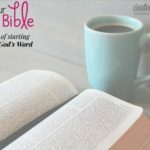 In a perfect world, we would be rising early, eager to jump out of bed, full of energy, ready to tackle the day by spending however long we would like to in God’s Word uninterrupted. In reality, we have a family clamoring for our attention and our “quiet time” is anything but quiet! I have early risers, so even though I wake up early, I usually have a visitor. 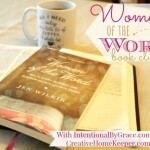 Sometimes my Bible study time doesn’t happen in the morning (there is NO RULE that says you have to have a quiet time first thing!) so I have to wait until later in the day. If you are home all day with your children, as I am, then you have to have a plan for what your children will do so you can have time each day to be with God. If it’s early in the morning and my children still feel like snuggling up on the couch, I turn on one of our favorite TV shows. If it’s later in the day, I set them up at the dining room table with their own Bible study books and coloring supplies. 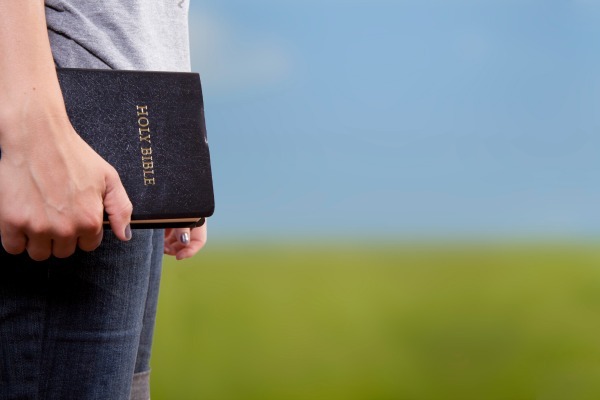 No, it’s not quiet and yes, it’s usually distracting BUT my kids are witnessing an important lesson… they are seeing their mom make the time to read the Bible each day! And if your kids are old enough, this is the perfect time to start encouraging them to start their own daily discipline too! Finally, the last tip is to actually open your Bible! 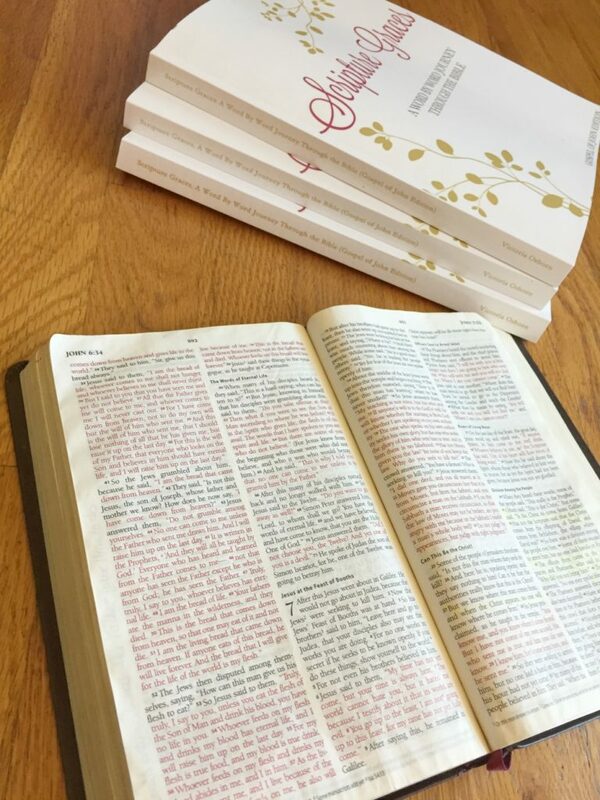 It’s easier to set up your space and make a plan to be in the Word, but actually opening your Bible and reading it, along with studying it, is much harder. 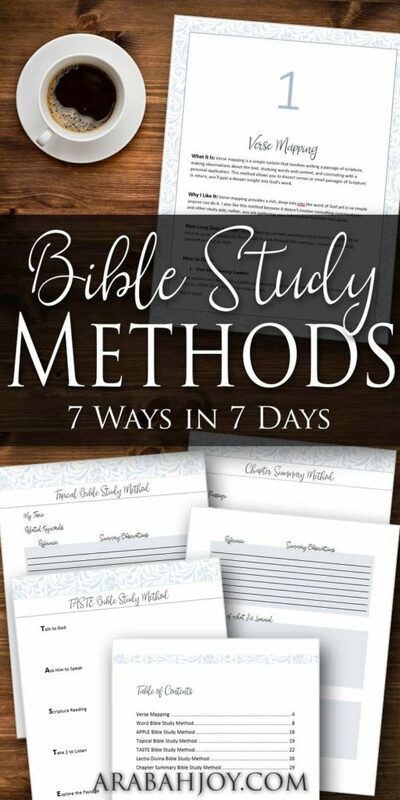 Later this week I’m going to be sharing some Bible study methods to try along with more of my favorite Bible study resources. 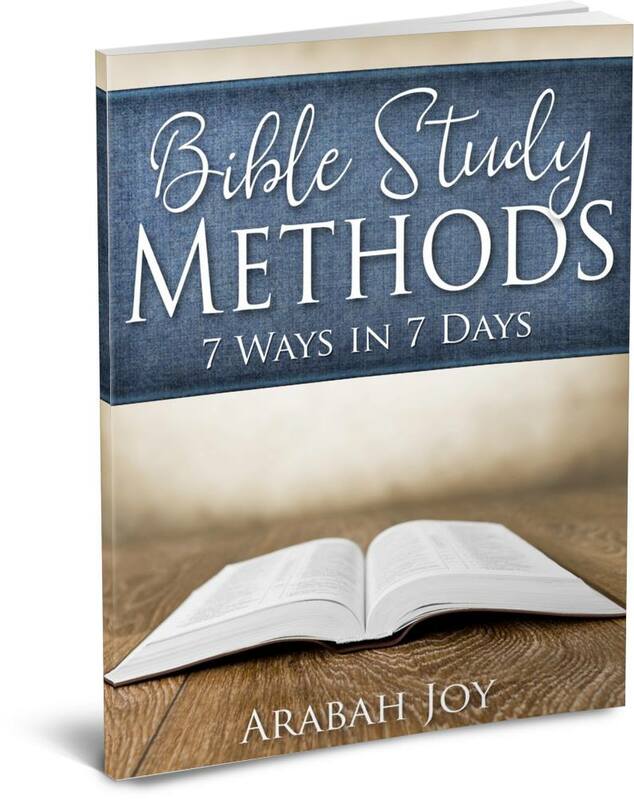 Today though I wanted to share with you a brand new resource from my friend Arabah Joy called Bible Study Methods: 7 Ways in 7 Days.